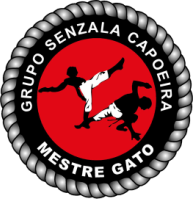 Grupo Senzala is proud to invite you to our yearly batizado. From the 12th-14th of October, three days of training, rodas party and great Axé. Friday: 6.30- Registration , class and roda. Saturday: 12- 5pm training, rodas, batizado and grading. Come to training with your stuff ready for a shower and party. We will have a feijoada and a live band at the Caldecote Social club. The party and feijoada is not included on the event price. ​Sunday:Training and rodas from 12 - 5pm. Please pay attention when filling up the registration form to ensure all your details are right. Accommodation can be provided if registration is made and confirmed (bring sleeping bag).